MDI Imaging & Mail is a privately held direct mail production firm based in Dulles, Virginia. MDI was founded in 1996 by two brothers, Dan & Chris Sullivan. They did so with one goal in mind – to provide comprehensive and dependable direct mail services driven by outstanding customer service. Since its inception, there has been only one top priority at MDI - our Customers. 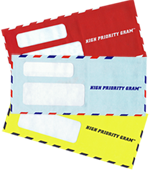 We realize how important your mail efforts are to you and your business. That's why we've made it our business to deliver the dependable service at the value that our clients deserve. We get involved early in the process, helping our clients plan their mailings to achieve the best results and cost savings possible. We respond to our clients' needs, offering the flexibility to make changes when necessary, and to find effective solutions as situations change or requirements grow. We keep our clients informed, letting them know how a job is progressing, where potential problems lie, and where the most productive solutions can be found. Our operation is housed in a state-of-the-art facility conveniently located only 5 minutes from the Dulles Bulk Mail Entry Unit, allowing us to drop your mail into the USPS mail stream at a moment’s notice, once or multiple times per day. Our 50,000 square feet of operating space is secured by a network of 32 surveillance cameras, used not only to maximize the security of your mailing materials, but to also monitor productivity and production quality. We invite you to stop by for a tour of our plant, and meet all of our wonderful employees who stand poised to produce your next mailing. And please, no appointments are necessary! Stop by at your convenience. Think of MDI as your direct mail facility, a true extension of your business.